3842 Highway 182 Highway, Lincolnton, NC 28092 (#3385329) :: Robert Greene Real Estate, Inc. Private retreat with 7+ acres in West Lincoln. 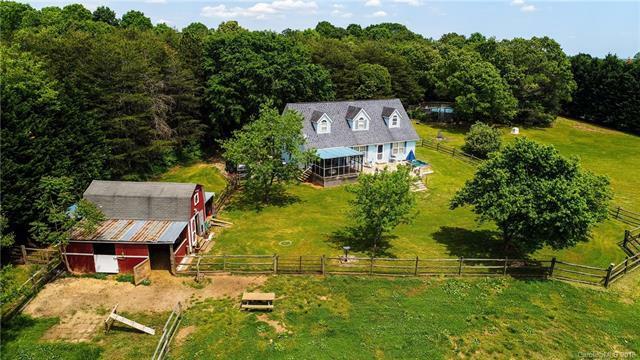 3 BR; 3 bath; over 800 finished square footage upstairs with full bath; updated master bath; screened porch off the master suite; large multi-level rear deck that overlooks rolling pastures; hot tub; small creek; 12x23 2 stall barn/workshop w/water and electric; approx 2 acres of fenced pasture w/numerous gates; above ground pool (needs liner) w/decking.